Ok, so I got the tank off the bike, removed the nuts holding the fuel pump assembly to the bottom of the tank and removed the fuel pump assy. Now what do I do? 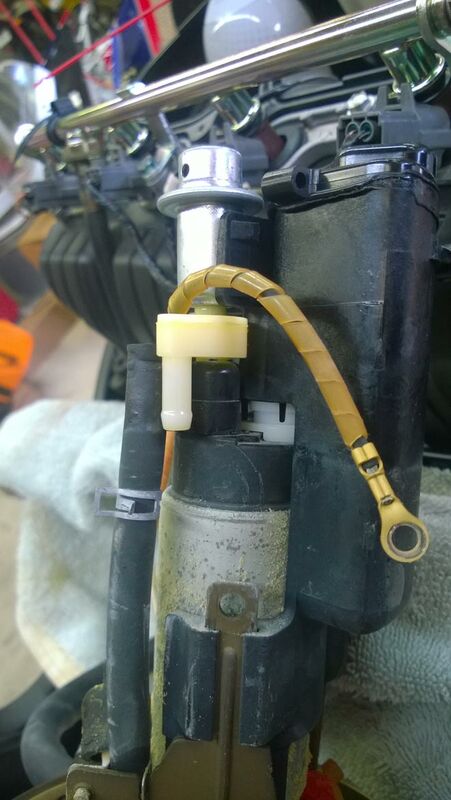 Can't figure out how to release the assembly around the fuel pump. I removed the two screws on the sides of the fuel pump (see pic), but the assembly around and on top of the fuel pump won't slip off and I tried a little prying but it wouldn't come off. Can't find any how-tos, hoping someone can help me! Quick Reply: How to change fuel pump '05 1kRR?